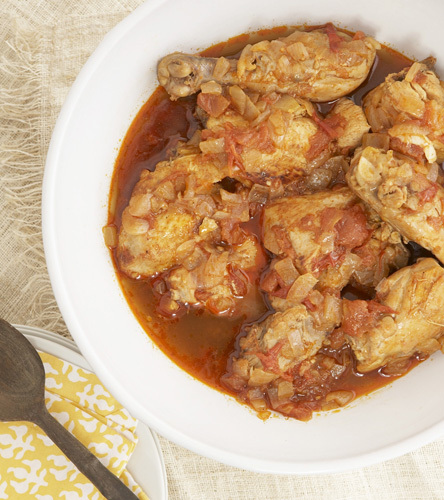 Integrating book-related cuisine into meetings gives book club members a chance to connect with the literature, try new recipes, and spice up their meetings. Here are some ideas for matching food with the books you’re discussing. Also, see Novel Noshes for book and food pairing ideas from book clubs. Read with food in mind. Notice foods or dishes the author mentions. 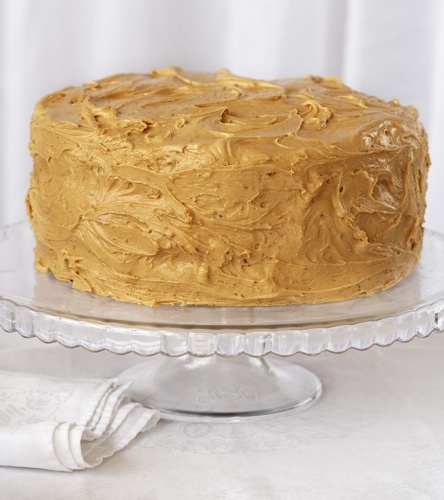 Authors may include the same food frequently, such as caramel cake in Kathryn Stockett’s The Help or potato peel pies in The Guernsey Literary Potato Peel Society by Mary Ann Shaffer and Annie Barrows. Make note of any foods that play a leading role in the literature that you might want to try. Explore new foods. Perhaps there’s a food mentioned in a book that intrigues you. Many books with foreign settings, or that are set in different time periods, include references to interesting dishes – and provide excellent opportunities for culinary exploration. You might try an Ethiopian Dish when discussing Abraham Verghese’s Cutting for Stone, an Afghani dish with Khaled Hosseini’s novels, The Kite Runner and A Thousand Splendid Suns, or Roman Punch, a frozen champagne drink from Edith Wharton’s The Age of Innocence. Get creative! Find interesting and unusual ways to link food to your reading selection – and have your club guess the connection. Some of our favorite pairings: pumpkin biscuits with Seabiscuit by Laura Hillenbrand (a book club combined the “biscuit” in Seabiscuit with pumpkin, the name of Seabiscuit’s pony companion); asparagus spears and flat noodles, representing The Point and The Flats, the two neighborhoods depicted in Dennis Lehane’s Mystic River; and strawberry shortcake covered with thick whipped cream, a visual reminder of the Antarctic landscape in Alfred Lansing’s Endurance: Shackleton’s Incredible Voyage. No time to cook? Serve simple prepared foods such as Dutch cheeses with Girl with a Pearl Earring by Tracy Chevalier, canned foods – even SPAM! – with The Road by Cormac McCarthy, or bee cookies with Chris Cleave’s Little Bee. 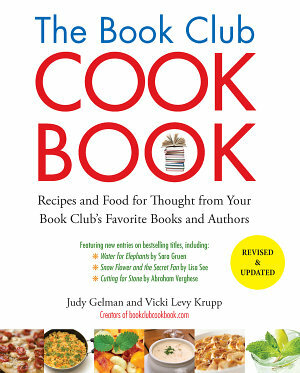 The Book Club Cookbook (Tarcher/Penguin, 2012) by Judy Gelman and Vicki Levy Krupp, a cookbook designed for book clubs, featuring over 100 favorite book club titles paired with recipes. The Book Club Cookbook website features author recipes paired with their books , and recommendations from book clubs across the country, some paired with menus.